Alexandra Horowitz, Professor of Psychology at Barnard College (Columbia University) and author of Inside of a Dog (a no. 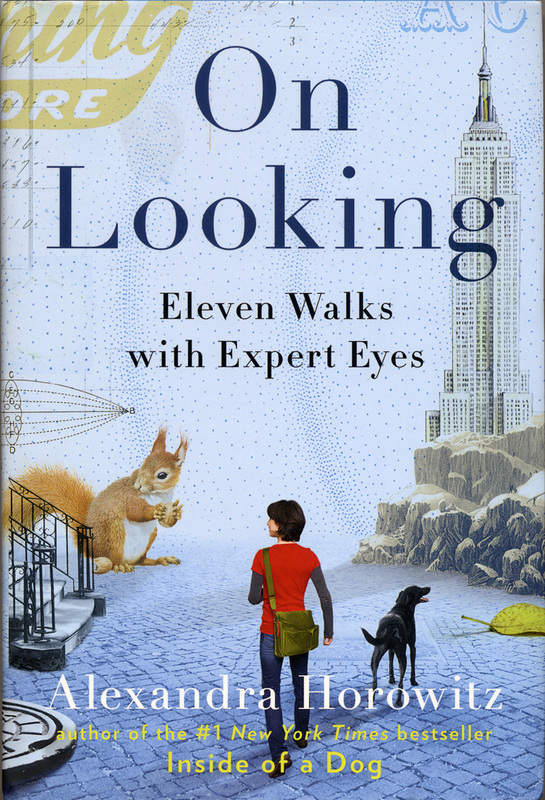 1 New York Times bestseller) has just written On Looking: Eleven Walks with Expert Eyes (Scribner). One of the eleven “experts” is me, a literaphiliac—someone suffering from a malady that “makes one seek, and see, letters”—in Horowitz’s view. Guilty as charged, though I would have used the term lettermaniac. Anyway, I am the subject of the chapter entitled “Minding Our Qs” (pp. 57–73). It is the summary and analysis of a walk that Horowitz and I took several years ago at her request around the Lower East Side. Horowitz asked me to walk around the Bowery and the Lower East Side and give her a running commentary on what I was seeing from the perspective of someone steeped in letters (signs, inscriptions, grafﬁti, and so on—all of the usual stuff that I focus on during an urban lettering walk for the Type Directors Club or another group). It is always during such moments with someone not equally enthralled by letters that one realizes exactly how odd this obsession is—even today when so many people are entranced by letters as a result of the ubiquity of fonts. But I suppose the other experts in the book—the geologist, the entemologist, the ornithologist and the urban sociologist—are equally obsessive in their own peculiar ways. 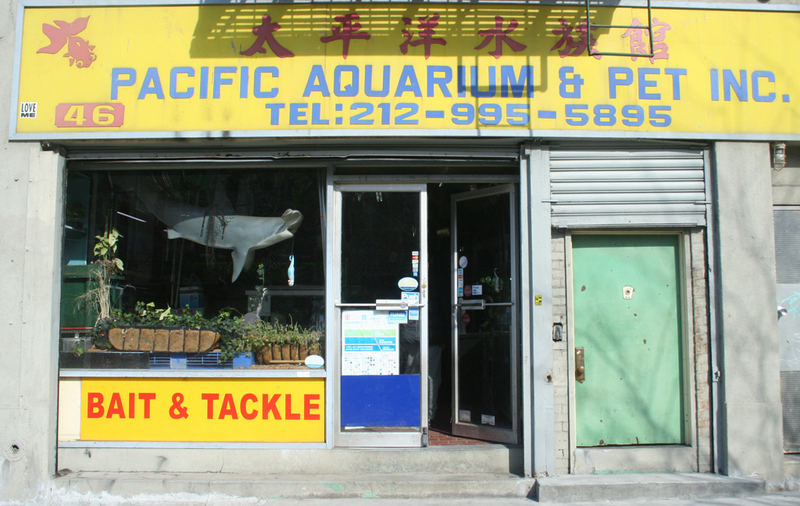 Pacific Aquarium & Pet Inc. 46 Delancey Street, New York City. Although there are many other signs that Horowitz describes me diagnosing, only a few of them do I seem to have photographed. And the signs that I did photograph and still recall are not the ones that she dwells on. One of the few that does is for Park On Auto Service that is noticeable for its mistakes (the backward U and V) more than for any intrinsic beauty. However, the culmination of Horowitz’s tale of our day together is a discussion of the beautiful but out of place Art Nouveau sign for the Bowery Ballroom. Her narrative—complete with a sketch of the B—lingers on some of the individual letters that appealed to me. However, as much as I admired them (particularly the W, R and Y along with the B) given the rarity of Art Nouveau in New York, it was the history of the sign that absorbed my attention. Bowery Ballroom. 6 Delancey Street, New York City. I puzzled over how could such a sign end up on a building that was clearly built after 1915 without being a late 1960s or early 1970s fake. Horowitz discovered that the building was erected in 1929—but got no closer to ﬁnding out when the ballroom sign was added (and what it is covering up). However, the Wayback Machine says the building became home to the Bowery Ballroom in 1997. It says nothing about the age of the sign. Is the sign really stained glass? If so, perhaps it was salvaged from an older business? Whatever its history, it is still a beauty—even behind cloudy glass.